Improving course material access, identifying at-risk students and ensuring more students have a degree plan will help students persist and succeed. 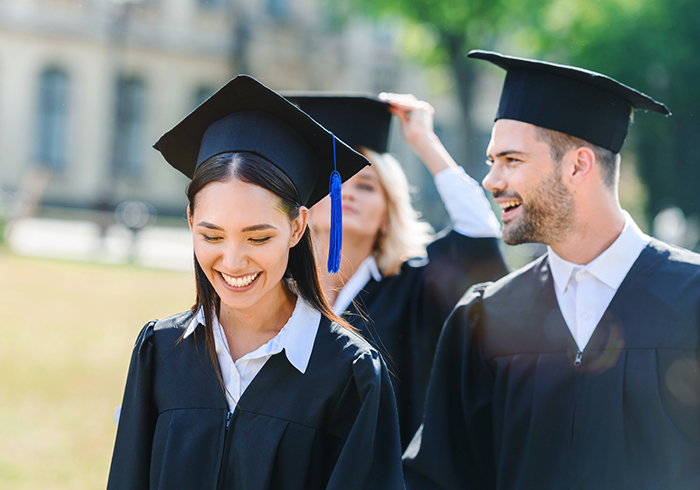 However, despite the personal and financial benefits associated with completing a degree, many students are unable to persist through graduation. The six-year graduation rate for full-time undergraduates in 2010 was 59 percent at four-year public institutions and 66 percent at four-year private nonprofit institutions, according to the National Center for Education Statistics. To increase graduation and retention rates, schools must offer students resources and support that help them overcome obstacles. To improve academic success and achievement, students must be prepared for class. However, in a recent VitalSource study, 85 percent of college students admitted to postponing or not buying required course materials. Cost is often cited as the primary reason students do not have the materials. Innovative solutions like inclusive access and courseware provide schools with options that increase course material affordability and give students convenient access to learning materials. With inclusive access, colleges include the cost of course materials in a student charge or tuition, ensuring materials are in hand by the first day of class. Courseware solutions provide accessible and affordable digital course content that is interactive and simple to use. Analyzing and understanding student data helps schools proactively identify at-risk students and act on student behavior and performance. According to Barnes & Noble College Insights, only 37 percent of at-risk students are confident they will be able to accomplish their goals. Courseware is a data-driven learning solution that provides faculty with easy access to student performance data. This helps faculty identify struggling students, pinpoint the specific areas where they need extra attention, and critically assess student participation and activities. In addition, courseware solutions can help at-risk students achieve greater success through interactive activities and self-assessments. A report by the Center for Community College Student Engagement finds that advising is one of the most important student services colleges can offer. Advisors help students set goals, develop academic plans and direct students to the campus services that are most beneficial to them. However, advisors are often busy and cannot give every student the personalized attention they need. Degree planning platforms enable students to chart their own pathway to graduation and review their academic and financial options. Solutions like this can help schools improve retention and graduation rates while giving advisors more time to develop stronger relationships with students. Student success initiatives can help improve overall graduation rates. Through the Graduation Initiative 2025, the California State University System improved graduation rates and narrowed the achievement gap. It introduced a series of educational reforms, utilized systemwide data, added classes so students can get into the courses they need to graduate and plans to make changes that will ensure more students begin school with a degree plan. A student success initiative can be a large undertaking, but with the right strategic partner, any campus can improve student achievement and success.